As the Turkish Airlines EuroLeague keeps growing, its players become trend-setters on and off the court as players learn that their image is a valuable asset for them. More and more EuroLeague players are featured in commercials and taking care of their brands off the court and in social media. 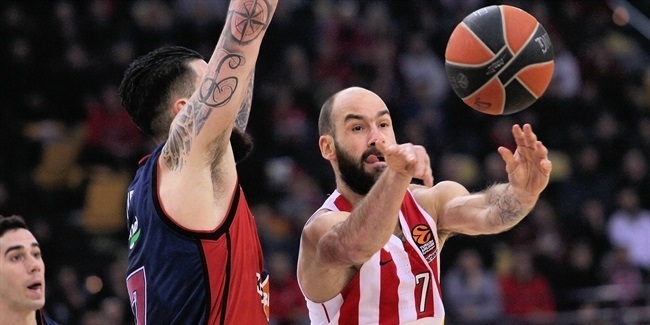 One such player is Olympiacos Piraeus center Georgios Bogris, who opened his own clothing store, MOOD, three years go in the Athens suburb of Glyfada. Bogris always wanted to start a business while still an active basketball player and he turned his hobby into a second job. "I have always liked clothes. It is very important to look good. If you look good, you feel good and play well," Bogris said outside his MOOD store. "We spend a lot of hours in the gym with sweatpants and jerseys, but you have to try to be different and look good off the court. That makes me feel good and happy. I have spent a lot of time and money on clothing in the past. And I wanted to start a business while I am still playing. Not only start it, but put it on its feet and make it better every year. "I always liked the idea of having a clothing store and this is why I opened MOOD in Glyfada in suburban Athens. It is easy to control, unlike a restaurant or a coffee shop. You need a lot of people involved in those businesses and it is hard to control everything. My sister really loves it and is helping me run the business. I work there and I am also helping my family. It is something that I really love and I think I chose the perfect spot in Athens. It has been doing better every year." Bogris, who stands 2.10 meters, is intimately familiar with the problems big men have when it comes to quality and fashionable clothing. Not all sizes are available, but even when they are, big-man clothes are seldom trendy. "Our men's department has big sizes because all my teammates and friends, myself included, know that it is hard to find nice clothes in big sizes," he said. "I want to give them something good and keep them happy and make sure they will come back again." "MOOD is mainly about women because the way I see it, shopping is more for women than it is for men. Women control the market and the main part of our store is women's fashion. I have learned a lot about the business over the last three years because it was something new for me; I was a bit lost when I started it. "I know now how to please clients and make them come back to MOOD again and again; what they like and what they don't. When I put in orders for winter, fall or summer clothes, I always have in mind what some particular clients need." Bogris has ventured into the business while spending most of the last three years abroad, playing for in Spain for MoraBanc Andorra, Bilbao Basket and CB Canarias Tenerife. "I started the store while I was playing for MoraBanc Andorra," he said. "It was very important to have people in Athens that I trusted who could control almost everything. After that, I came back when the season was over to control MOOD's first steps. It was hard after that because I was away and it is always better to be near, pushing for something, knowing what is going on and taking care of business." Putting trust in his family paid off for Bogris: "It was a little bit hard, but my sister stepped up and took things really seriously and did things that I couldn't do. Everything is smoother now because we know what we need and what we are doing. This is the kind of business in which you cannot relax because fashion always changes and you have to be alert. You need to know what people are wearing and what to have in the store." MOOD is very visible in social media, which is critical for any fashion brand nowadays. You can follow MOOD on Instagram and Facebook at @moodclothingstore. Bogris and his sister learned on the job that being head of the curve in fashion is essential. For that, they make sure to follow the right people, the so-called influencers. "Some of these fashion blogs are followed by millions on Instagram," Bogris said. "I just follow them and check out what they are wearing while keeping in mind what my priorities are. For example, people in Barcelona will wear different clothes than in Athens. There are differences even in the same city. People in Southern Athens are closer to the beach and have a different mentality, a little bit like Venice Beach in California. It is a totally different style that people in Northern Athens, who are more old school. So, we follow all these influencers, get ideas from them and use them, taking into account where we are and what we need." After playing for nine different teams, six of them in Greece, Bogris has his own ideas about who the best-dressed basketball players are, and he singles out for praise a current AX Armani Exchange Olimpia Milan player – by definition, the most fashionable team in the EuroLeague. "A lot of basketball players have good taste when it comes to fashion," he says. 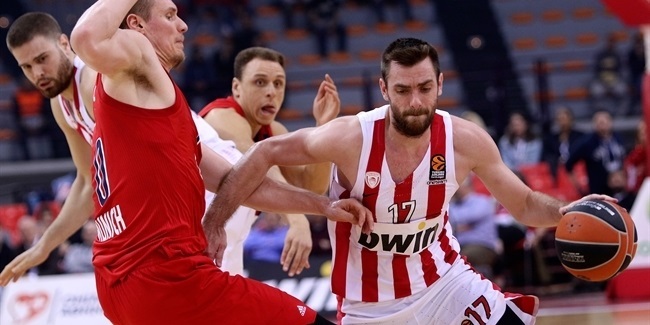 "For instance, my friend Vassilis Spanoulis always tries to wear the latest stuff; he is very good at this. Georgios Printezis has a totally different style, very urban, a Californian style that fits with my store in Glyfada. Ioannis Papapetrou also tries to wear clothes that I like. Not everything is about what people wear; it is also about having your own style, following your own taste. For instance, I couldn't wear shorts over my knees, I would look funny! One of the best EuroLeague players when it comes to clothing and following the latest is Dairis Bertans. We are great friends and were teammates in Bilbao. He is living in Milan now, so I am sure he knows all the latest about fashion!" Having MOOD in Glyfada is no coincidence, as it is one of the city’s most popular neighborhoods, located by the Mediterranean Sea. Also, understanding what Greeks do with their free time, especially on weekends, has allowed Bogris to be more successful. "A lot of clothing stores are on the Internet and, in that sense, Greece is a little bit different," he said. "People like to go shopping, that is the mentality in our country. We go for a walk on Friday night, get something to eat and go shopping. Girls love to do that, especially on weekends; it is something they get energy from, a hobby. People don't buy that many clothes on the Internet because everybody wants to try their clothes on, make sure they feel good and comfortable. Sometimes people come in again and again before they buy something. The mentality is like that in Greece; we like to do things and spend time out of our homes. Shopping is one of the things we love to do." Location was a key decision for Bogris when opening MOOD. "Glyfada is a great place with the best vibe in Athens and has great weather. People here try to enjoy life and want to look good and feel good. In Glyfada, not only do you have the locals, but people from other areas come here every weekend to eat, walk and shop. The beach is really close, so we have a lot of foreigners in the summer, too, from all over the world. A lot of money from all these countries ends up in Glyfada, and people are more willing to spend while on holiday. This is why I chose Glyfada." Like any successful businessmen, Bogris looks to the future: "I already have an idea in the back of my mind to open a second MOOD store on an island in a summer or two that is more focused on foreigners... On an island, it is totally different because it is a short season – four months. I have a big family and one of my three sisters could take care of business in that second store, if we eventually open it." 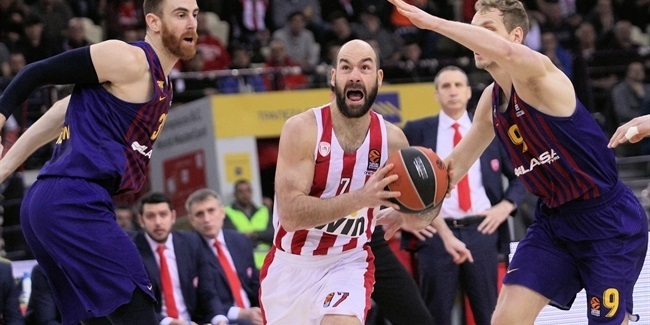 In the meantime, we know that Bogris will remain busy at his day job with Olympiacos as he tries to help the Reds capture the summit of European basketball. But with Bogris around, one thing is for sure: the Reds will be dressed for success!